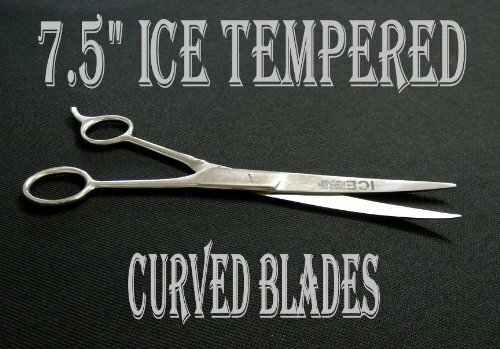 7.5'' ICE Tempered Hair Stylists & Barbers Cutting Scissors Curved Blades 8567 by no!no! at Beauty Sols. MPN: 8567. Hurry! Limited time offer. Offer valid only while supplies last. Made of ICE tempered stainless steel. ICE tempered steel holds an edge longer than regular stainless steel.